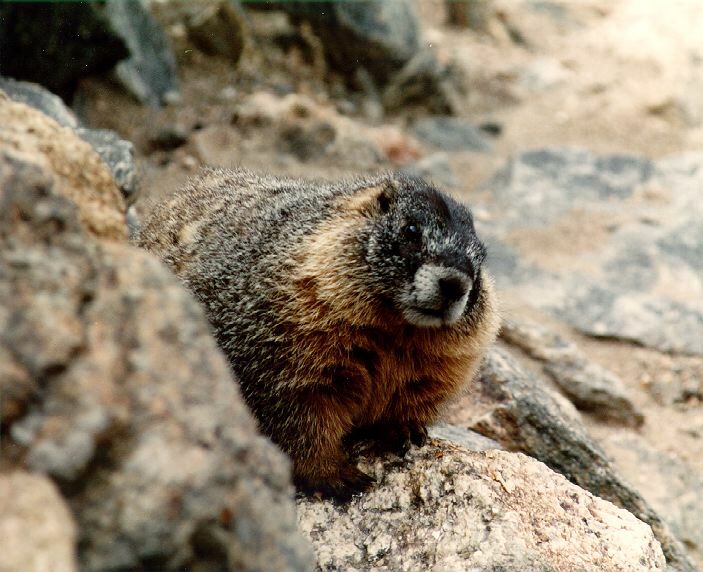 This is a marmot, a rodent-like mammal indigenous to the tundra niche above the tree line. They hang out, sunning themselves on the rocks. they're usually very hard to see, but you can hear them squeaking to each other. This one came up to the road to see if we had anything to eat. Trail Ridge Road, Rocky Mountain National Park, Colorado.